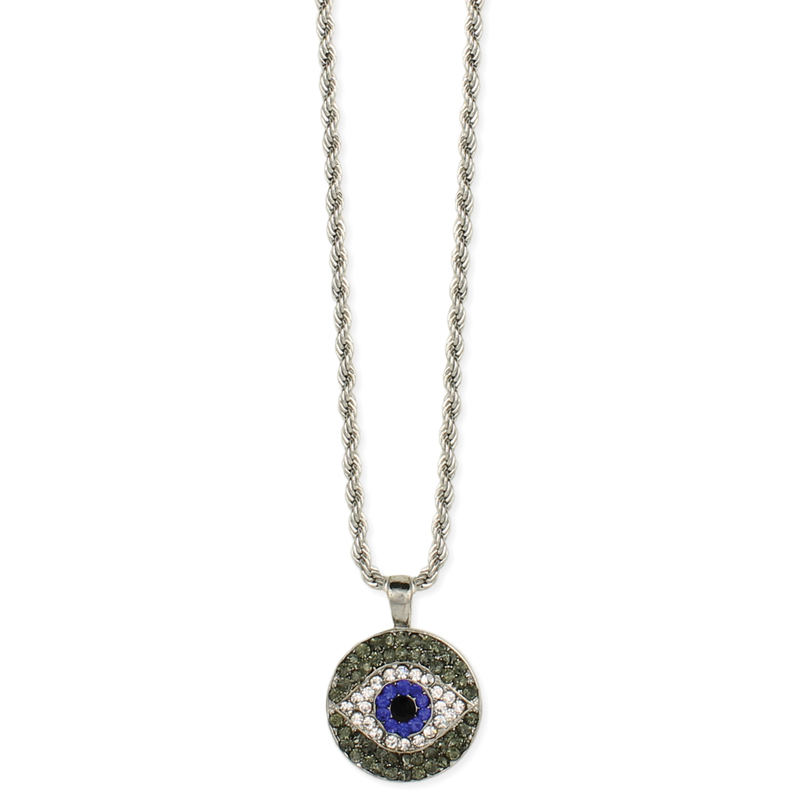 Everyone will be watching when you wear this eye catching crystal blue eye pendant necklace! The grey, clear and blue crystal eye round pendant hands from twisted silver chain. 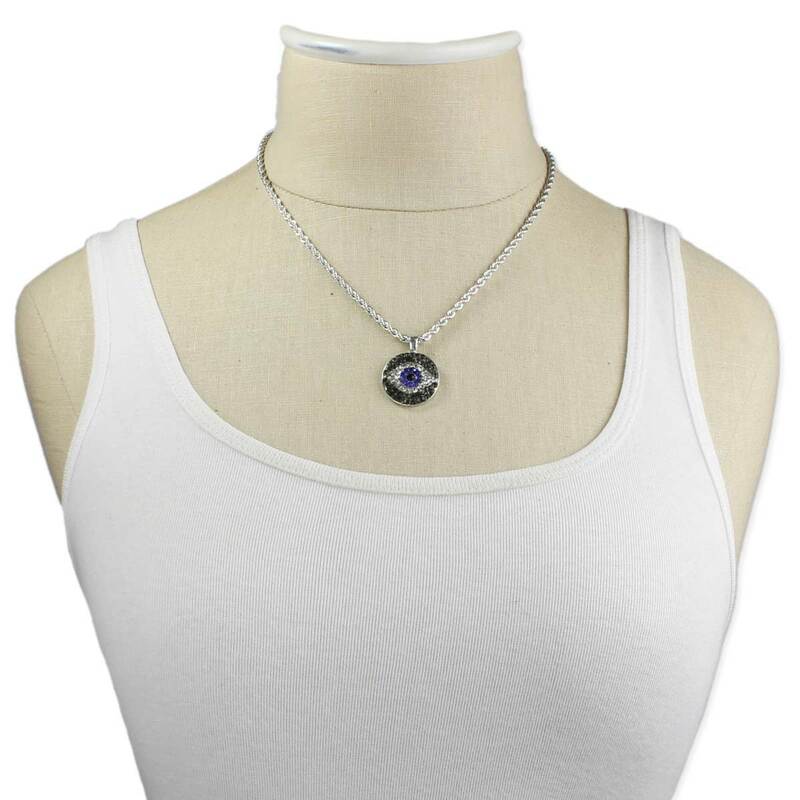 Keep an eye on fashion with this fabulous eye necklace!